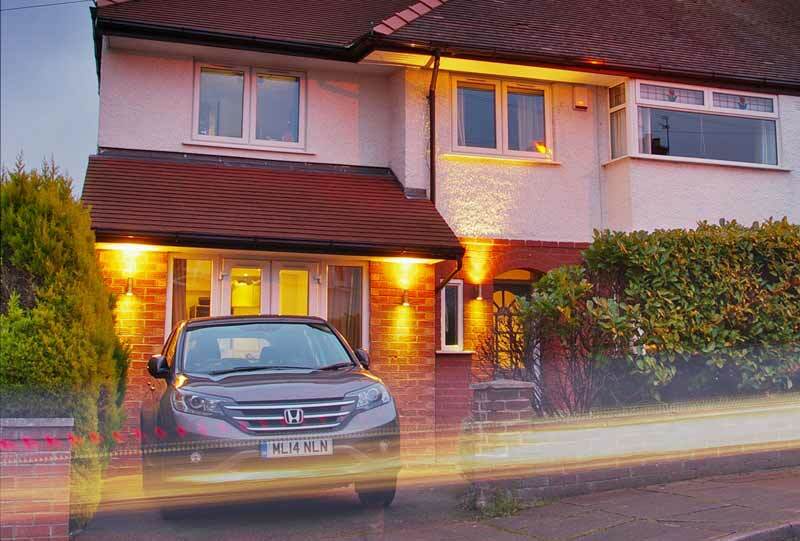 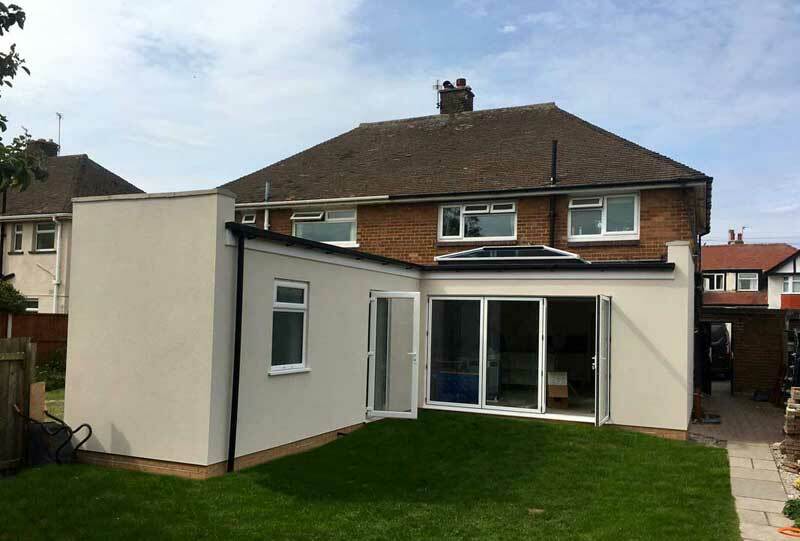 Garage conversion to form new home office space. 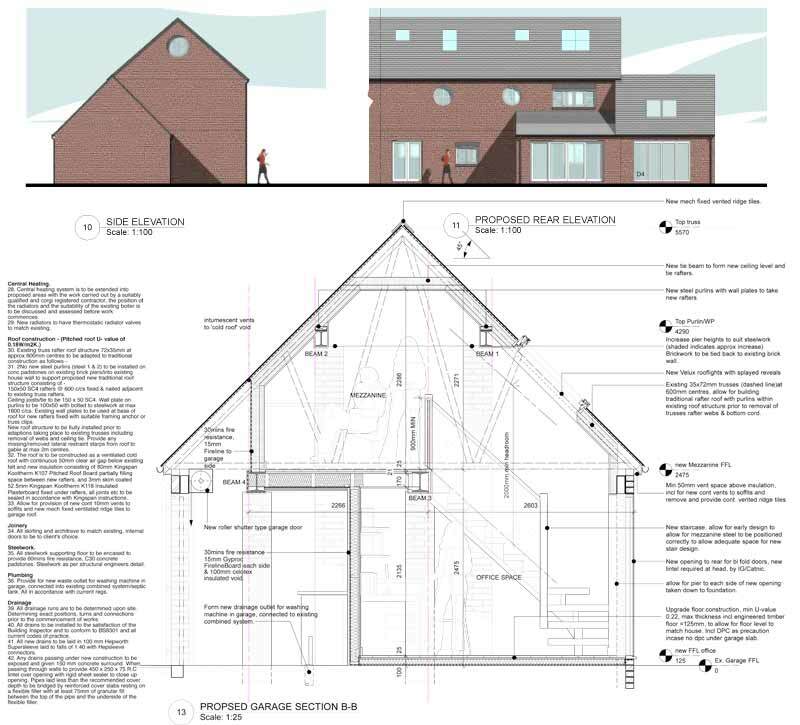 Proposed conversion of existing garage & utility into home office space along with possible new upper floor level within the garage roof space. 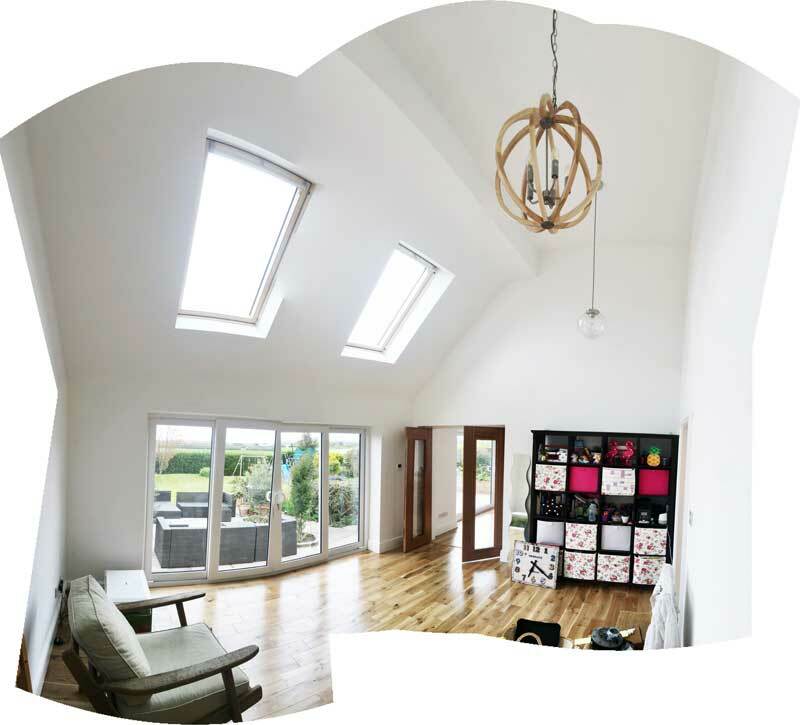 New bifold doors to the rear along with roof lights to provide additional natural daylight to the upper floor space. 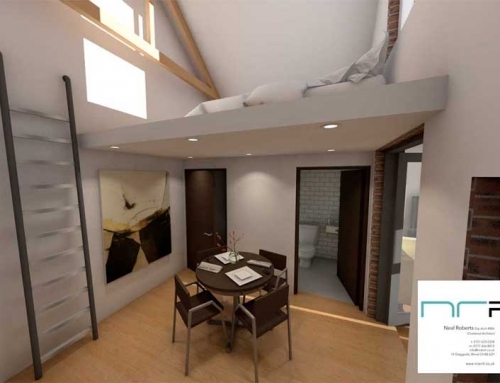 Scheme involved alterations to existing truss rafter roof construction to allow for removal of ceiling ties, new brick piers to take new steel purlins, rafter strengthening prior to truss rafter adaptions. 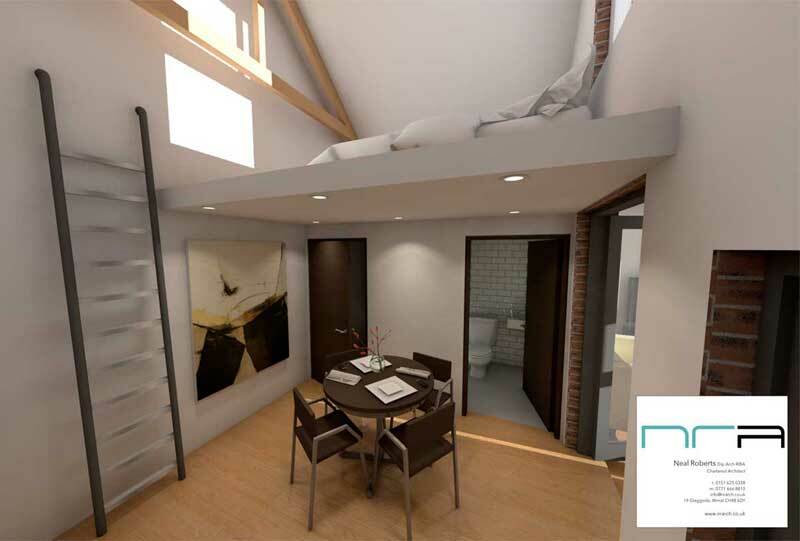 New inner leaf construction to improve thermal properties up to current standards and insulation within rafters. 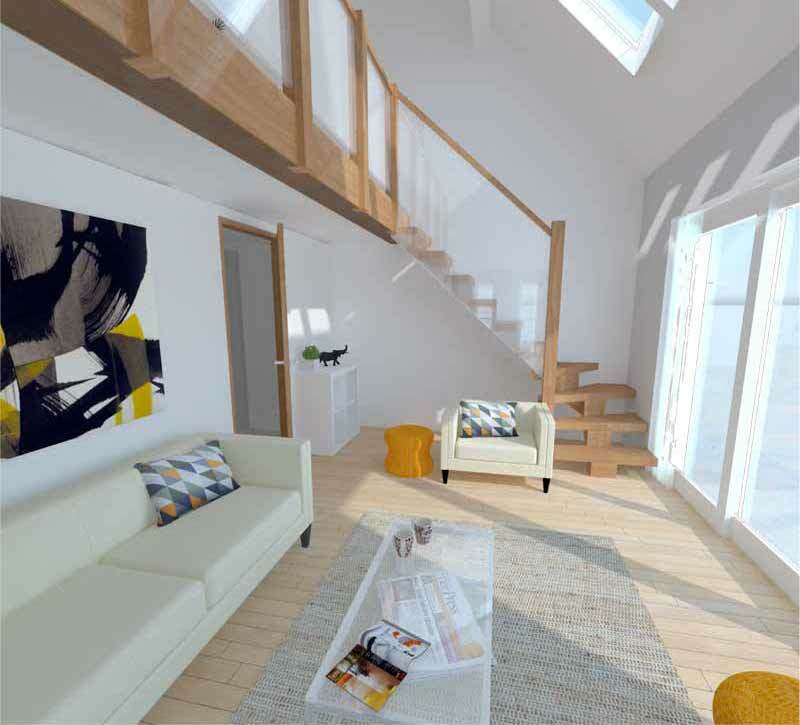 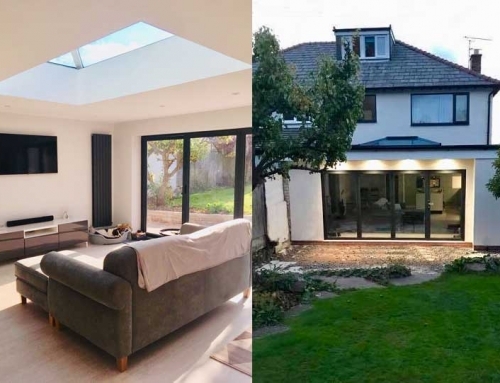 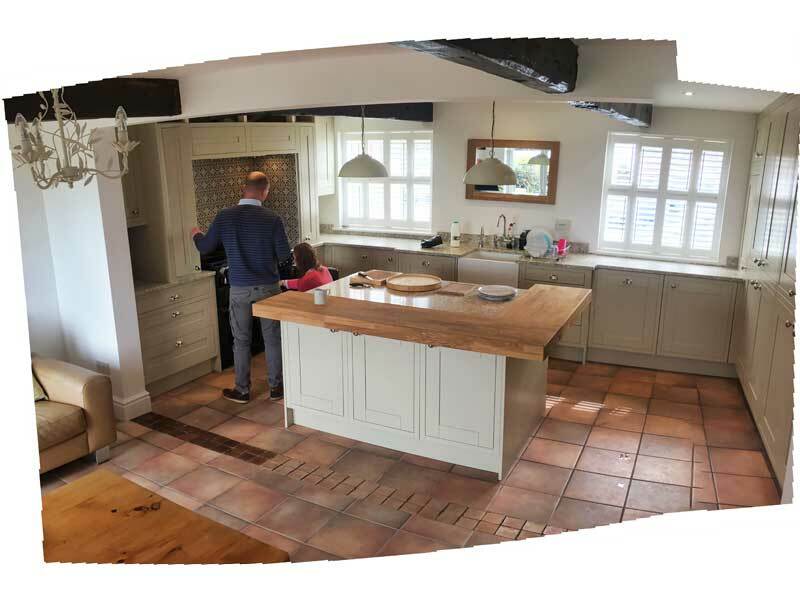 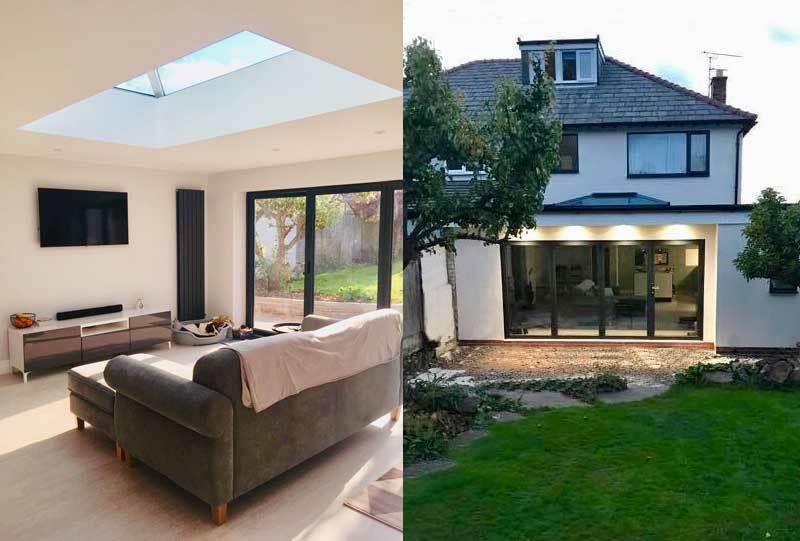 Also provided detailed drawings for alterations within the existing house – load-bearing wall removed between existing kitchen and playroom to provide larger open-plan kitchen and dining space.